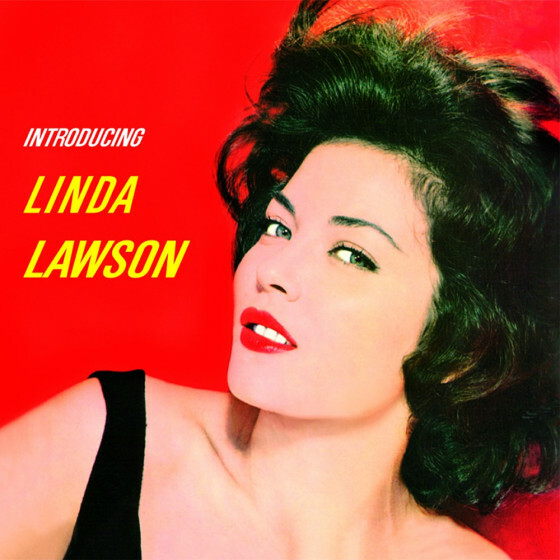 Linda Lawson only recorded one album, back in 1960, but it's a record that has endured, even if Lawson's career didn't. Born in Ann Arbor, MI at the end of the '30s, Lawson's family moved her to Fontana, CA when she was three. She sang in high school, and even got to sing at the Sands Hotel in Las Vegas, but she put the vocalizing aside to concentrate on an acting career instead. This led to roles on television shows such as 77 Sunset Strip, Maverick, Sea Hunt, and Peter Gunn, where her voluptuous curves and dark good looks stood her in good stead. In the first season (1959-1960) of the 20th Century-Fox series Adventures in Paradise, she had a regular role as Renee, the proprietor of a tavern. In 1960, Lawson made her big-screen debut in a key supporting role in the noir-ish crime thriller The Threat, directed by Charles R. Rondeau. That same year, she was discovered by Peter De Angelis, one of the founding partners in Chancellor Records, which led to the recording of the album Introducing Linda Lawson. Arranged by Marty Paich and performed by a band that included Jack Sheldon on trumpet and Bud Shank on alto sax, it was a promising beginning to a musical career. Lawson divided her time between music and movies, and in 1963 she got the best role of her career, as Mora, the beautiful amusement park mermaid fearful of her own dark psychological needs, in Curtis Harrington's haunting thriller Night Tide, starring Dennis Hopper. Alas, neither that nor Lawson's acting career were here to stay. Lawson made more movies and television appearances, up through Sometimes a Great Notion (aka Never Give an Inch) in 1971, but disappeared from performing after the '70s.